Sofia Coppola has a problem. I don't know if it's her privileged Hollywood upbringing or what, but she is fascinated by the mundane, detached, and the overwhelming emptiness of life. But my god, does she sure know how to make all of that look gorgeous. Because film is so visual, this is one of her assets. But what she struggles with is the story in between, or the lack thereof. Even Lost in Translation and Virgin Suicides, the only two films of hers I am fully engaged in and appreciate through the closing credits, follow this same pattern. 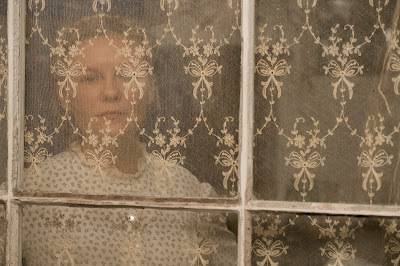 With THE BEGUILED, Coppola attempts to move beyond her typical character moroseness to which she has become accustomed to tackle broader themes of feminism and male chauvinism by way of a secluded group of Christian women and girls nestled in a Virginia mansion during the Civil War. Why Coppola, who wrote and directed this film from director Don Siegel's film of the same name, would choose to connect with the modern conversation with a premise so distant from a contemporary scope, is beyond me. On the one hand it's extremely hokey and conventional, its characters performing quaint songs inside their living room after dinner, making it hard to even hard to care about it. But beneath that lies a layer of repression, sexual frustration, and cunning. And I don't know whether that's Coppola's way of challenging the culture or presenting some kind of feminist statement. Either way, it is incredibly weak, proving that maybe Coppola isn't really comfortable with venturing outside her usual themes. 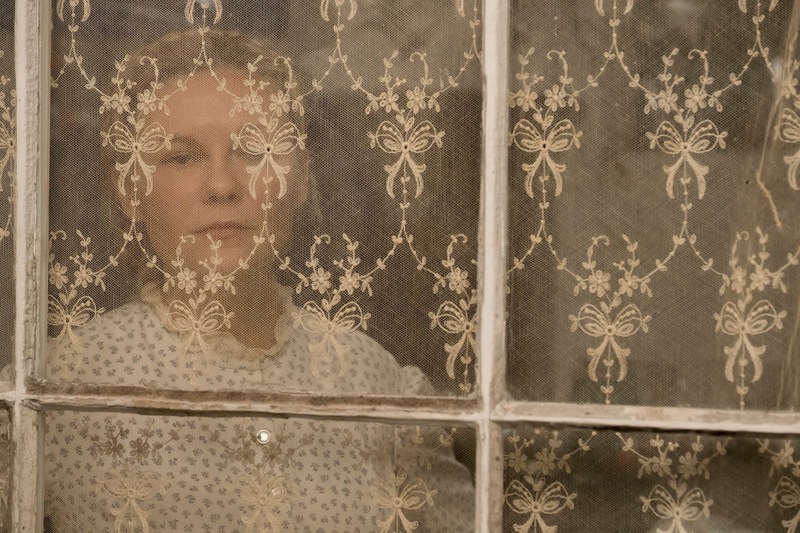 With a cast led by Nicole Kidman, Kirsten Dunst, and Elle Fanning, THE BEGUILED has the potential to become a captivating narrative, but the characters are drawn in such a boring and uninspired way that they only become interesting once a man enters their lives. And that in itself defeats the whole feminist reaction to this film. Maybe in 1971 when the original film was released, the story of a small school of girls and women during the Civil War who retaliate against a wounded soldier (Colin Farrell) they take in after he seduces them and incites a rivalry between them was considered defiant. But now, it's just completely out of touch. The movie goes from 0 to 100 with no real objective but to look pretty and feminine. It's slow and prosaic, even when Coppola attempts to titillate audiences with close-ups of Farrell's bare body as Kidman's character washes him down, or even at the end when he meets his demise at the hands of his women caretakers. I just don't care by that point in the film. What Coppola fails to recognize is that her audience is far more sophisticated than this. None of this is impressive, special, or even beguiling for that matter. It's utterly outdated, awkwardly humorous at times, and by its last 30 minutes I honestly don't care what happens to any of these characters even when the setup becomes clear. Its conclusion is even more eye roll-worthy. Like, you're just going to end like that? Ugh, whatever. There are no real takeaways from this film, nothing you want to remember it for after seeing it (unless you count the progressive adage that you become less of a man once your leg is amputated). The film kinda just goes off, presumably back inside the time machine from which it came. Good riddance. THE BEGUILED in theaters in New York and Los Angeles today, expanding to more theaters on June 30. Yikes at this poorly-written review that somehow misses every point of the film. Ah damn...I was afraid this might happen. I completely agree with your assessment of Coppola's directing and vision. I'm seeing it in a few days, and I hope I like it.